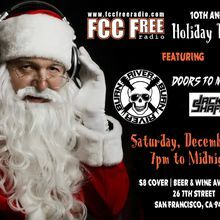 FCCFREE RADIO 10th Annual Holiday Party. 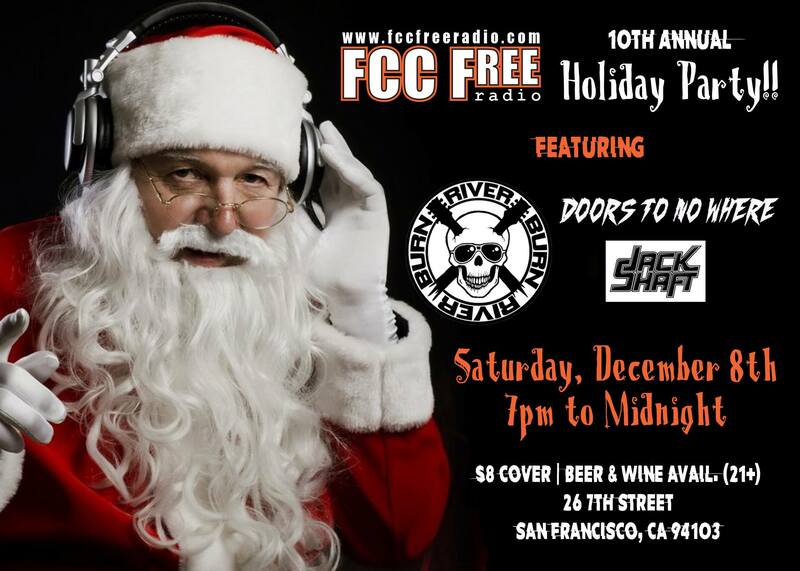 10th Annual FCCFREE RADIO Holiday Party. December 8th 2018 at the studios of FCCFREE RADIO. First time open to the public!! We have the bands Doors to Nowhere, Burn River Burn and Jack Shaft!! Cover Charge of $8.00 on line, $10.00 at the door. Beer and Wine. Come party with the staff of FCCFREE Radio at FCCFREE Radio.